As I have shown many times, data from long running stations show that temperatures recently in Greenland have been no higher than the 1930s. A new paper, which uses Reanalysis data from KNMI, pushes the record back further. 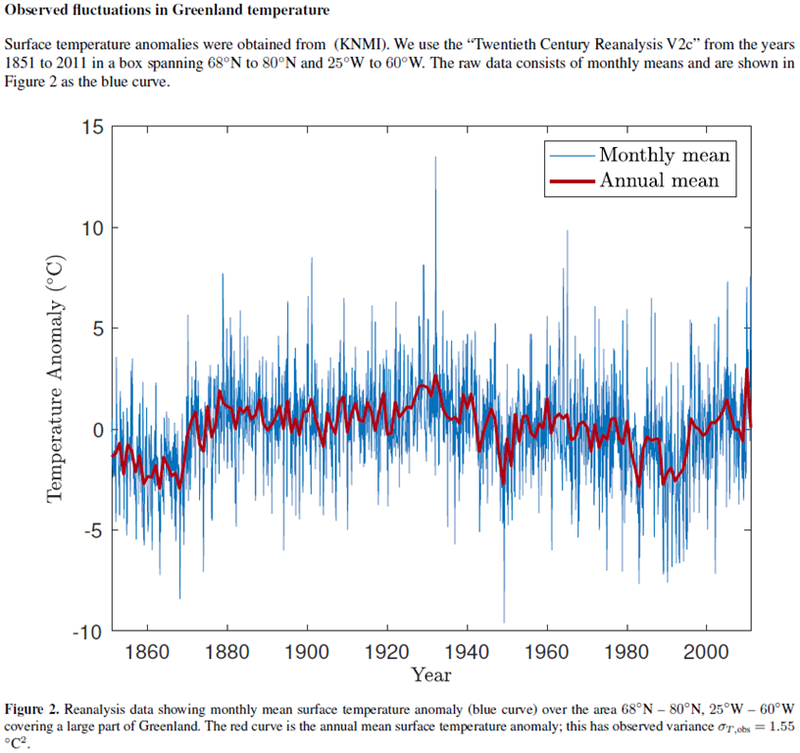 As we can see, Greenland temperatures were also at a similar level to now as long ago as the 1880s. Indeed, it is noticeable that the really anomalous period was that extremely cold interval, which began in the 1950s and lasted till the 1990s.